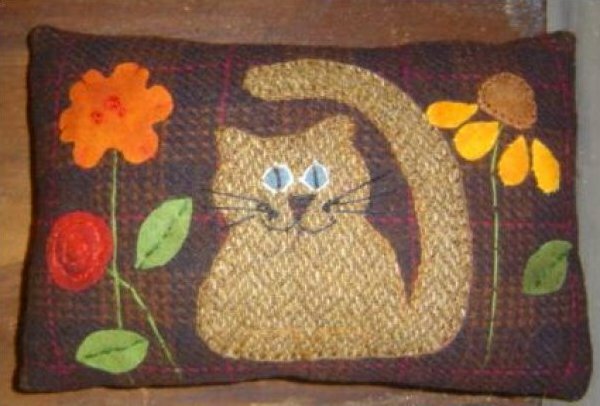 The kit includes the pattern & the fabrics (wools) to make this pillow. You will need to get the stuffing & threads. 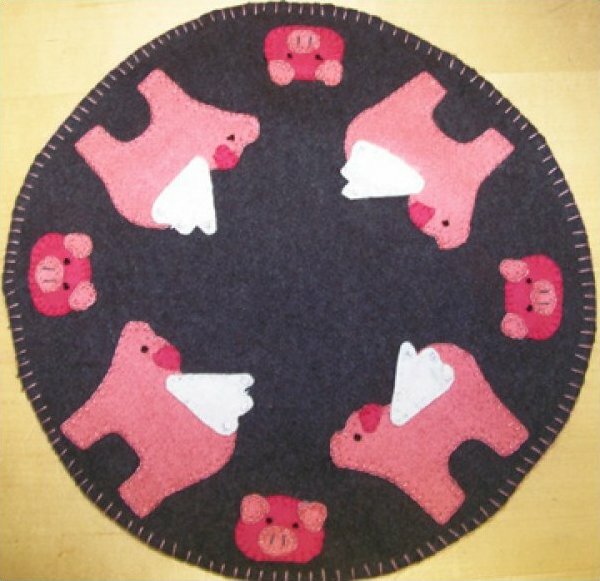 13" candle mat with circling flying pigs. All wools in this kit. You will need to get the threads of your choice. 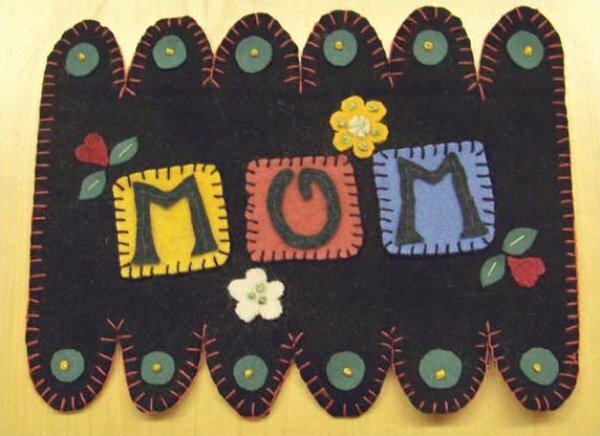 Make this kit for your mom on her birthday or Mother's Day. The kit includes all your wools & the pattern to make this penny rug. (Threads not included but we do have #8 pearl cottons available). 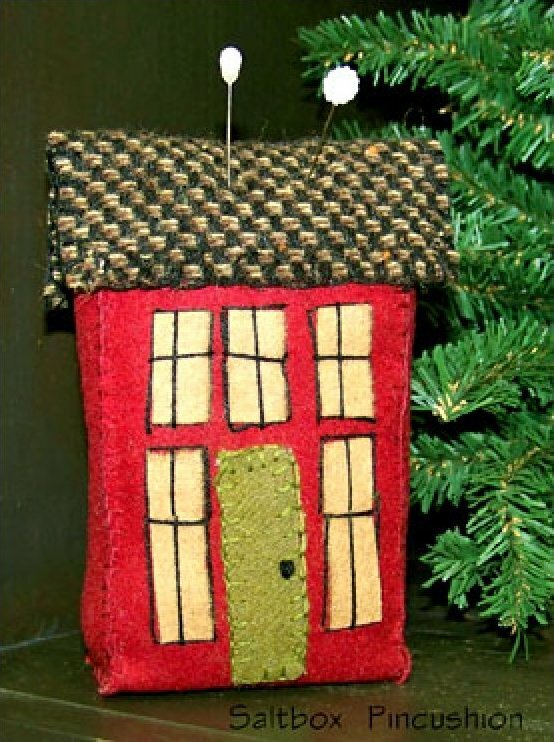 Saltbox house pincushion measures 5" tall, 3" wide, 2" deep. All your wools included, plus threads for hand-applique and the pattern. 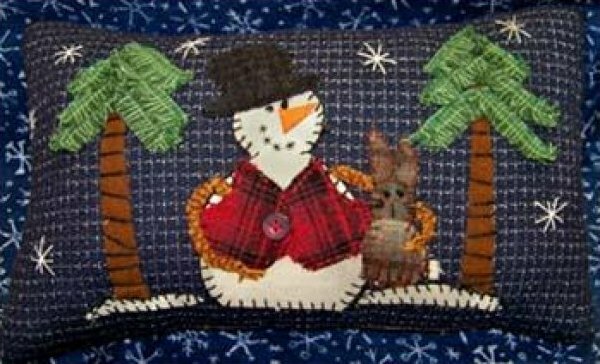 9" x 15" woolen pillow. This kit includes all the fabrics, threads & pattern for the project.